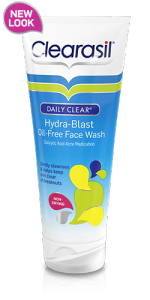 Clearasil® Daily Clear® Oil Free Daily Face Wash is dermatologist tested and helps reduce breakouts by up to 85% in just 4 weeks. The face wash is scientifically formulated with a moisturizing complex to leave your skin feeling soft and cared for. So you get clearer skin every day.